If you don’t understand musical scales, they really can be thought of as just a selected group of musical notes. This selecting also implies some excluding; in other words, some notes are not within the chosen scale and so will never be heard. 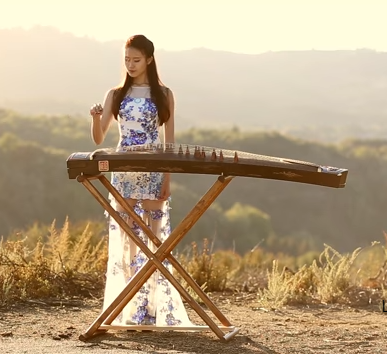 While western music is much more built around concepts like harmony, many traditional eastern musics feature pieces which are far more colored, identified, by the scales (or modes) they are being played or composed within. Setting aside esoteric forms like microtonal and atonal musics, the most typical scales are either 5-note (pentatonic) or 7-note scales. The notes within the scale can and usually do recur in higher and lower octaves in a tune or piece. Rumanikos is a 7-note scale of eastern European origin. Major scales have either directly adjacent notes, like E and F, or consecutive notes which are separated by a single excluded tone, such as G and A. But notice the spacing of notes within Rumanikos. Between Eb and F# there are two consecutive excluded tones, making for a large ’empty’ interval. Also, there are three distinct pairs of directly adjacent notes within Rumanikos. These two factors give the Rumanikos scale it’s unique, characteristic, and haunting feel. Rumanikos is an eastern European scale, popular with gypsy or tzigane musicians. It has older roots within Persian and Arabic music, and in fact bears a close relationship to the well-known Arabic scale, or maqam, known as hitzaz. 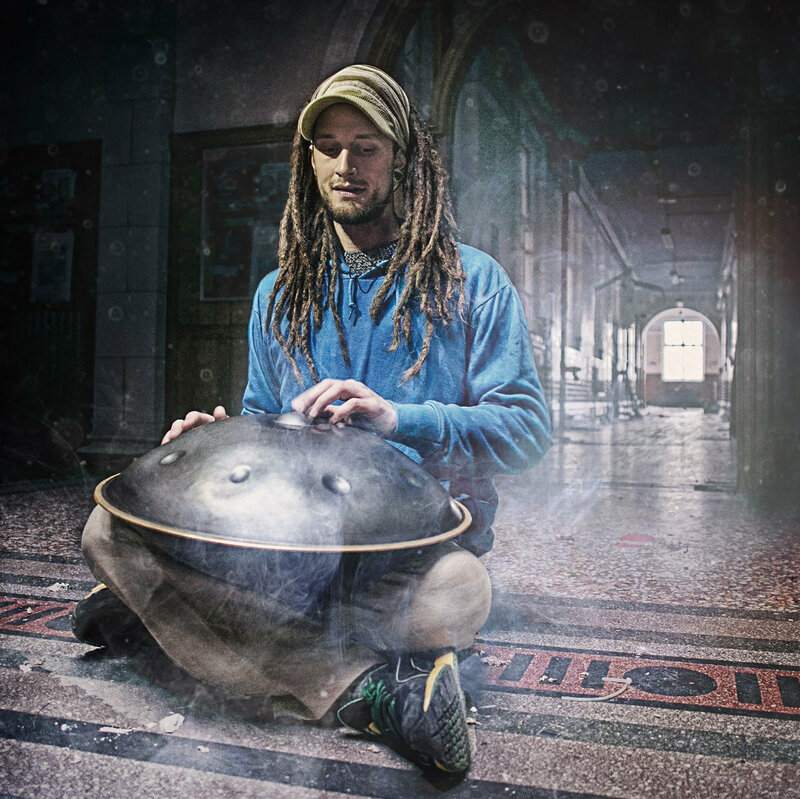 Hangs (rhymes with gong) are really interesting instruments, blending both melodic and rhythmic elements. 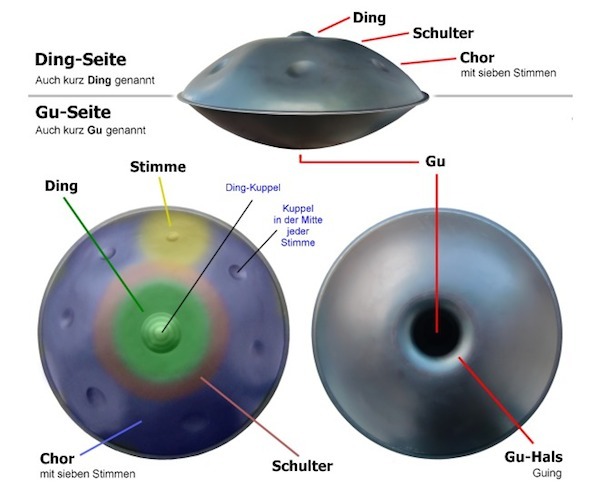 They were developed around the year 2000 by two Swiss ethnomusicologists and metallurgists. The quickest way to absorb what they are all about is to take a quick half hour tour via YouTube, noting the varying playing styles possible. A good place to start is here. Hangs are very accessible to novices; it’s not too difficult to elicit some pleasing sounds from the instrument. Yet it offers several avenues of more advanced exploration for serious players. Hangs have been manufactured in more than 40 different musical scales over their relatively brief lifetime, including African pygmy scales, Chinese and Japanese pentatonic scales, and various middle Eastern scales. There are also numerous less expensive knockoffs available nowadays. You can try out a virtual hang with nothing but a laptop and a mouse for free. Zithers occur across cultures throughout the Eurasian landmass. There are also African and South American variants. The word itself is German, reflecting the Bavarian folk instrument. The Chinese variety has fewer strings and a more spare and stark appearance and sound. Architecturally, it’s amazing; it looks like a sculpture. A specially attractive feature of it is the way notes can be bent by the musician. 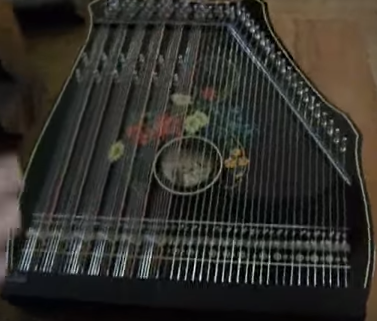 Perhaps my favorite zither is the Arabic version, known as a qanoon. And I leave off with this recommended sample, a duet composed by Andrew Cronshaw featuring qanoon and zither. I was able to listen to the improv on Clyp, but not the first one. Beautiful. It makes me want to make music again. Thanks so much for sharing, Rob. I deeply enjoyed the hang/zither duet! A question though: To my ears, the tonality is G Harmonic Minor. Thoughts? Hi Frank. So glad you liked the improv. Definitely a one-time deal… doubt we could reproduce it. Wow! You can cold-hear that it sounds like a G harmonic minor? That’s incredible, my friend. At least to me, it is. I had to go look up G harmonic minor. I noticed that this scale contains the exact same notes as Rumanikos except that it begins, has its root at G, whereas Rumanikos begins at C. Otherwise, completely shared notes. I thought about this more and realized something else: the bass drone note of the rumanikos hang I used to own was a low G, not a low C. (In other words a 4th below the main scale’s starting point.) If you check out the foto of the hang, it has one huge central knob surrounded by eight other melodic note knobs. That big central knob is the low G. The other eight start with C and climb the rumanikos scale: C D Eb F# G A Bb C. And typical hang playing style is to use the central note asa frequent drone. It is possible I may have been echoing this technique with the keyboard too, while listening to my friend, and thus emphasizing the G also. So perhaps this explains it. Really, my fingers do not know what scale they are in… I simply ‘school’ them for 5 minutes of warmup within a certain scale before an improv and then go. Plus I never know which specific fingers are supposed to do what — I make it up best I can. 🙂 Hope that explains it for you.